brings its distinctive style to a new adaptation of Bruce Chatwin's award winning, and much loved novel. Touring throughout the South East and nationwide autumn 2009. Lewis and Benjamin Jones, twin brothers, were born with the dawn of the 20th century. Their world is rich in the oddities, the wonders, the passions, the deceits and tragedies of human experience. In this extraordinary story, Bruce Chatwin has captured every nuance of their landscape and the lives and souls of the people who live there. Through the evocation of place and season, in its sense of the delicate balance between people and nature, this moving and humorous story gives meaning and value to the major themes of life. It is a story that is as personal to everyone who sees it as it is to the two brothers. 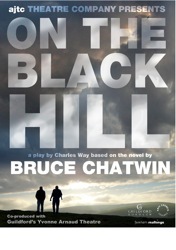 On The Black Hill is an adaptation for by award winning playwright Charles Way. It is directed by Geoff Bullen and features a specially commissioned score by Lewis Gibson. , in co-production with Guildford's Yvonne Arnaud Theatre, one of the country's leading regional producing theatres will tour the production throughout the U.K. in the autumn of 2007.
has gained a strong profile for delivering high quality theatre for audiences across all age groups. Since the company's inception we have developed five major projects for touring throughout the South East region and beyond - Beside Picasso, The Book of Miracles, The Two Man Tempest, Red Sun and The Gardener. Subsequent national and international tours have established the company's reputation for innovative and challenging work. Our work has a strong physical base and stylistic integrity resulting from years of experience in all areas of professional theatre. We work closely with writers, directors, designers, musicians and theatre skills experts to find the strongest way to tell each individual story. 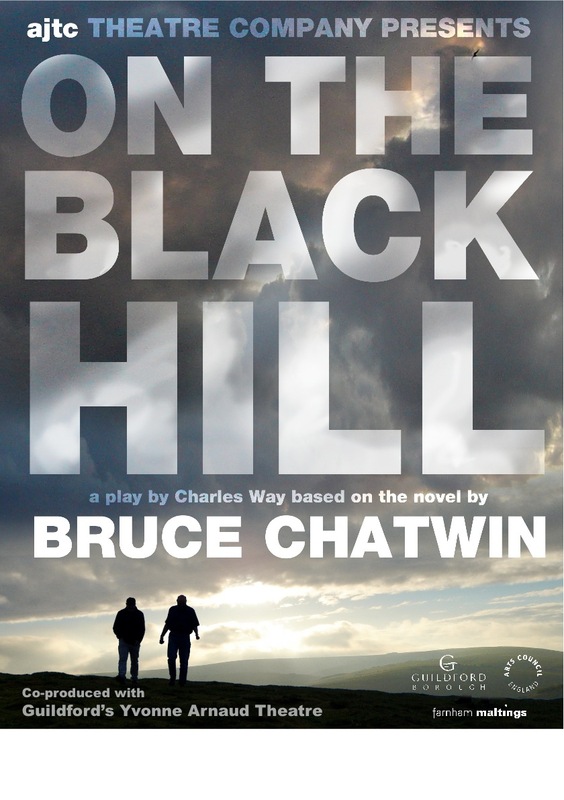 On The Black Hill is designed for flexible touring to studio theatres, community venues, arts centres and colleges. It is suitable for adult and community audiences 16+. "Totally alive On the Black Hill is a spellbinding portrayal of the unbreakable link between nature and the human spirit." "Certainly like nothing else currently on show." "My best bit was all of it." "You press all the right buttons. Wonderful." "However you choose to interpret it, this is gently affecting yet powerful stuff." "This company is a venue manager's dream."